Effective duration is the sensitivity of a bondBondsBonds are fixed-income securities that are issued by corporations and governments to raise capital. The issuer borrows capital from the bondholder and makes fixed payments to them at a fixed (or variable) interest rate for a specified period. What is an Indenture? An indenture is a binding contract between an issuer‘s price against the benchmark yield curveYield CurveThe Yield Curve is a graphical representation of the interest rates on debt for a range of maturities. It shows the yield an investor is expecting to earn if he lends his money for a given period of time. The graph displays the bonds' yield on the vertical axis and the time to maturity across the horizontal axis.. One way to assess the risk of a bond is to estimate the percentage change in the price of a bond against a benchmark yield curve such as a government par curve. The effective duration figure is used for hybrid securitiesHybrid SecuritiesHybrid securities are investment instruments that combine the features of pure equities and pure bonds. 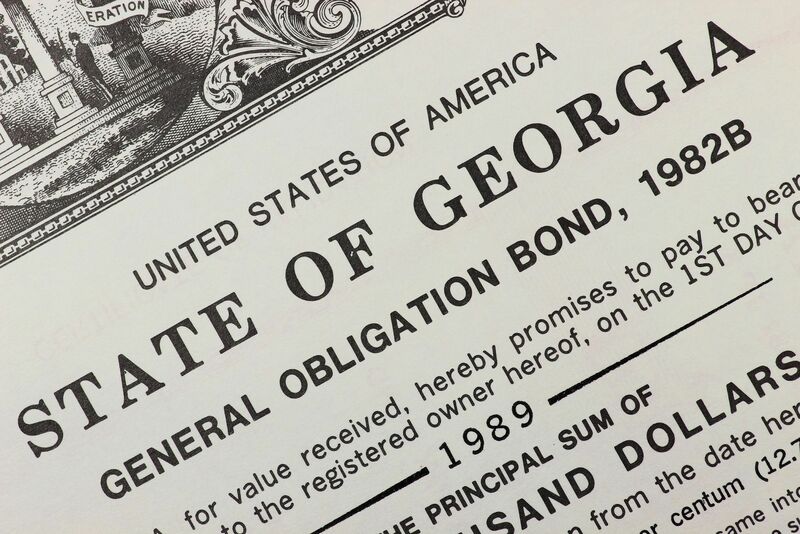 The securities tend to offer a higher return than pure fixed income securities such as bonds but a lower return than pure variable income securities such as equities., which can be divided into a bond and an option (callable bondsCallable BondA callable bond (redeemable bond) is a type of bond that provides the issuer of the bond with the right, but not the obligation, to redeem the bond before its maturity date. The callable bond is a bond with an embedded call option. These bonds generally come with certain restrictions on the call option.). Embedded bonds increase the uncertainty of cash flows and make it difficult for investors to measure the internal rate of return. This is where the concept of effective duration comes into effect. In 1983, economist Frederick Macaulay discovered a way to determine the price volatility of a bond, which was called the “Macaulay Duration.” Although an effective tool, the strategy was not given much importance until the 1970s when interest rates became relatively unstable. During that time, many investors needed a tool that would help assess the volatility of their fixed-income investmentsFixed Income SecuritiesFixed income securities are a type of debt instrument that provides returns in the form of regular, or fixed, interest payments and repayments of the principal when the security reaches maturity. These instruments are issued by governments, corporations, and other entities to finance their operations. It led to the development of “modified duration,” which provided a better way to calculate changing bond prices. Then in the mid-1980s, interest rates fell and investment banksList of Top Investment BanksList of the top 100 investment banks in the world sorted alphabetically. Top investment banks on the list are Goldman Sachs, Morgan Stanley, BAML, JP Morgan, Blackstone, Rothschild, Scotiabank, RBC, UBS, Wells Fargo, Deutsche Bank, Citi, Macquarie, HSBC, ICBC, Credit Suisse, Bank of America Merril Lynch created “effective duration” or “options adjusted duration,” which calculated price movements based on the call features of the bond. In the example above, every 1% change in interest rates results in a change in the price of the bond by 10%. Effective duration is a useful tool for holders of callable bonds because interest rates change and the bond can be recalled before it matures. Effective duration differs from modified duration because the latter measures the yield duration – the volatility of the interest rates in terms of the bond’s yield to maturity – while effective duration measures the curve duration, which calculates the interest rate volatility using the yield curveYield CurveThe Yield Curve is a graphical representation of the interest rates on debt for a range of maturities. It shows the yield an investor is expecting to earn if he lends his money for a given period of time. The graph displays the bonds' yield on the vertical axis and the time to maturity across the horizontal axis. as a benchmark. Using the YTM curve as a benchmark, effective duration considers the possible fluctuations in the expected cash flowCash FlowCash Flow (CF) is the increase or decrease in the amount of money a business, institution, or individual has. In finance, the term is used to describe the amount of cash (currency) that is generated or consumed in a given time period. There are many types of CF of the bond. The cash flows remain uncertain due to the high volatility of the interest rates of the bonds. Since the internal rate of returnInternal Rate of Return (IRR)The Internal Rate of Return (IRR) is the discount rate that sets the net present value of an investment equal to zero. This guide to calculating IRR will give several examples and who why it's used in capital budgeting, private equity and other areas of finance and investing. If IRR is greater than cost of capital, is not well defined, strategies such as modified duration and Macaulay duration do not work. Duration is important to investors for numerous reasons. It is a helpful tool to assess the interest rate risk of a bond and can be used as part of risk assessment along with the credit riskCredit RiskCredit risk involves managing the creditworthiness of all entities a firm lends to, including bondholders. Credit risk is the risk of loss that may occur from the failure of any party to abide by the terms and conditions of any financial contract, principally the failure to make required payments on loans and liquidityLiquidityIn financial markets, liquidity refers to how quickly an investment can be sold without impacting its price. In accounting it means how easily a company can of the bond. In addition, it can also help the bondholder maximize profits if their predictions are accurate. If an investor believes that interest rates will fall, they will build their portfolio with a high duration to reflect this. The effective duration shows how sensitive a bond is to changes in market returns for different bonds with the same risk. By accurately estimating the effect of a market change on bond prices, investors can construct their portfolio to capitalize on the movements of interest rates. Also, it can help them manage their future cash flows and protect their portfolios from risk.